A wide ranging overview of the Great Commandment and the Ten Commandments directed at enabling people to recognize sin and overcome it. It is vital to understand the Commandments and apply them and comply with them if one is to come to a close relationship with the Almighty Creator, Yah the Eternally Self-Existing. 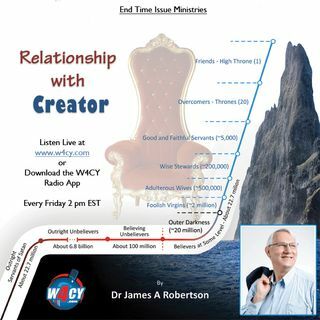 This show is broadcast live on Friday at 2PM ET on W4CY Radio – (www.w4cy.com) part of Talk 4 Radio (http://www.talk4radio.com/) on the Talk 4 Media Network ... Más informaciones (http://www.talk4media.com/).